In this NordVPN review, we will cover NordVPN’s software, VPN speed, price, VPN free trial, customer services etc. 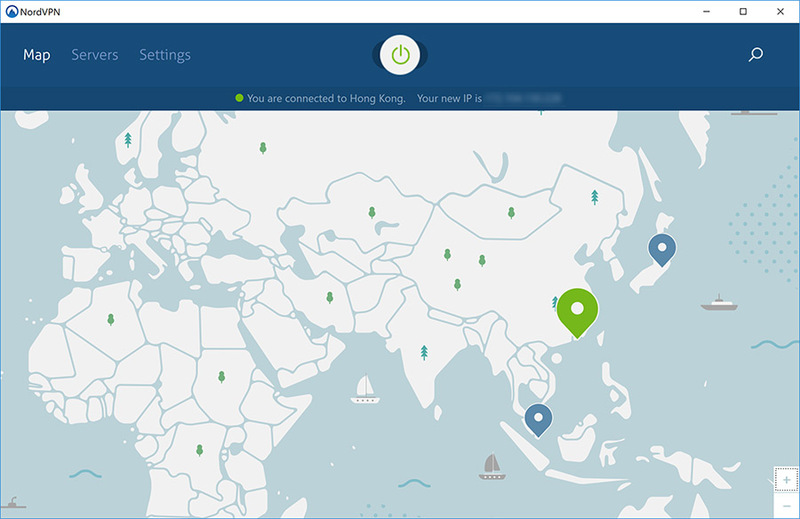 This NordVPN review was based on our real VPN testings done in China. Therefore, it will help to answer this question: does NordVPN work well in China? The price (especially the monthly plan) is a little bit high. 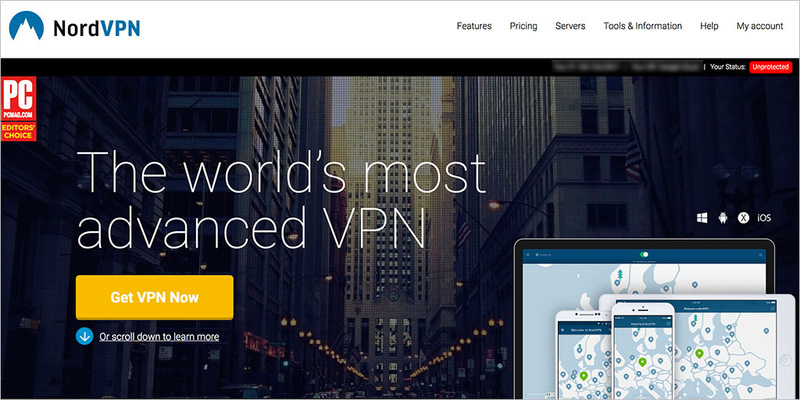 NordVPN is a well-known VPN provider with a large number of world-wide customers. It has received many very good reviews, including those from authority sources such as PC Magazine. Since 2017, NordVPN started to put more efforts in getting its VPN service working well in China. 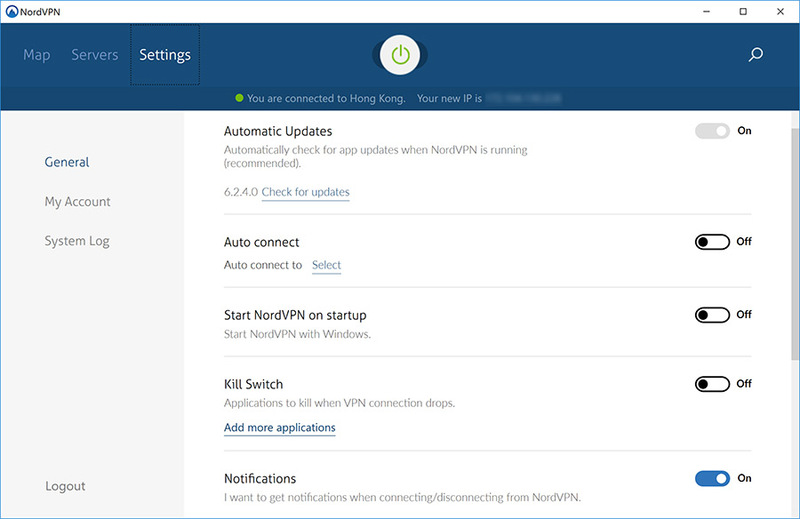 To better serve VPN users in China, NordVPN’s websites includes a Chinese version to make it easy for Chinese people to sign up. For VPN payment, NordVPN accepts Alipay and UnionPay, which are popular payment methods for people in China (It also accepts bitcoin, which can be used world-wide). One big problem for using VPN in China is that not only the so-call Great Firewall of China blocks websites, it also blocks VPN services. As a result, many popular VPN services don’t work in China at all. NordVPN’s main domain nordvpn.com is currently blocked in China. However, you can access NordVPN using its alternative domain nord-cn.org to access NordVPN from China. To bypass China’s VPN blocking, NordVPN recently started offering a VPN obfuscation option, which will make your VPN traffic less likely to be detected and blocked by China’s Great Firewall. VPN obfuscation currently works quite well on its Windows software and Mac software (OpenVPN version). NordVPN has 3400+ VPN servers in 59 different countries. NordVPN offers unlimited bandwidth, unlimited server switches and unlimited speed. It supports multiple VPN protocols, including IKEv2/IPsec, OpenVPN (TCP and UDP), L2TP/IPsec, PPTP and SSTP. NordVPN’s users can connect from computers (Mac, PC and Linux), tablets and smartphones using their software or apps. In terms of simultaneous connections (or sometimes called multi-logins), NordVPN allows users to connect from up to 6 devices at the same time. Note that there’s a limitation on this: You can’t connect to the same VPN server using the same VPN protocol with more than 1 device. But you can bypass this restriction by letting different devices connect to different servers or using different VPN protocols. In addition, NordVPN has a no-logs policy so your internet activities won’t be logged. P2P is allowed by NordVPN, so you can use it for torrenting and other types of P2P file sharing. NordVPN offers an automatic kill switch (it can kill individual processes or kill whole internet connection). It also offers encrypted proxy extensions for Chrome and Firefox browsers. In addition, its CyberSec feature blocks dangerous websites and lets users avoid annoying ads. NordVPN also offers a feature called SmartPlay, which unblocks over 150 streaming services by bypassing geo-restrictions. With SmartPlay, you can access Netflix, Hulu, Amazon Prime and other popular streaming services. NordVPN offers several different plans: The 1-month plan costs $11.95/month. The 6-month plan costs $9.00/month. The 1-year plan costs $6.99/month. For making payment, in addition to standard methods such as Paypal and credit card, NordVPN also accepts UnionPay and AliPay, which is convenient for people in China. NordVPN offers a 30-day money-back guarantee, allowing customers to try out their VPN services essentially for free for up to 30 days. This is indeed quite generous. Based on our testings, the best way to use NordVPN in China is to use its desktop software, including its application for Window and its Mac software (OpenVPN version). That’s because NordVPN’s desktop software includes a obfuscation option, which is necessary in China in order to hide VPN traffic and avoid the Great Firewall’s VPN blocking. 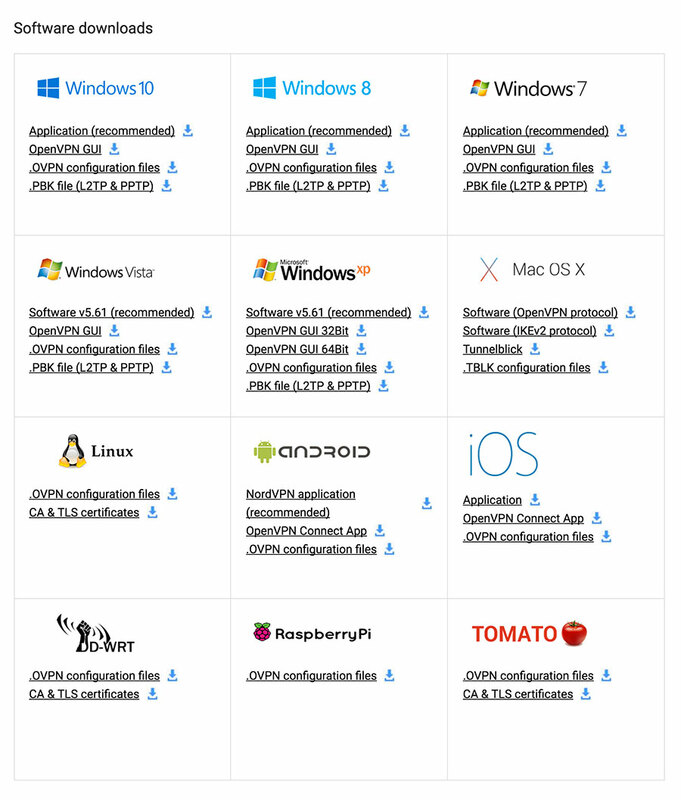 Below are some screenshots of NordVPN’s Windows software. As you can see, under the “Servers” section, it allows users to select different VPN servers from different world-wide VPN locations. Also, you can choose to connect to an obfuscation server in addition to the VPN server, which we highly recommend for users in China. Under the “Settings” section, you can turn on/off features such as auto connect, kill switch etc. NordVPN also provides free VPN apps for Android and iOS. Users can download those apps in iOS’s app store or Android’s Play Store by searching with the keyword “NordVPN”. Then we used Mac desktop client to connect to one of NordVPN’s Tokyo server. We got a download speed of 40.51 Mb/s, which is very fast. The SpeedTest.net testing result is shown below. 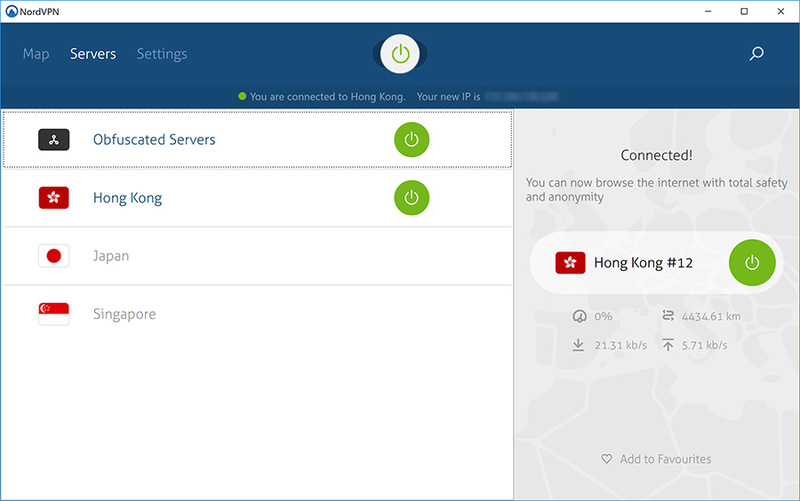 Then we used NordVPN’s Mac client to connect to one of NordVPN’s Hong Kong server. We got a download speed of 38.23 Mb/s, which is very fast as well. The SpeedTest.net testing result is shown below. Also, we found NordVPN has been quite stable during our tests. When you visit NordVPN’s website, you can see a “Support” button on the bottom-right corner. That’s the place to get in touch with NordVPN’s customer support. When seeking help, you will be asked to type in your question first and you will be presented automatically with an answer if anything is found. Otherwise, you will be connected to a live chat section with a real human being to address your question. We tried NordVPN’s live chat support and the response speed was very fast and we were able to get an answer almost immediately. NordVPN is a popular VPN provider with world-wide customers and good reviews. Recently they started paying more attention to serving VPN users in China. If you use VPN mostly on a desktop computer (Windows or Mac), NordVPN is a good choice because its desktop software comes with an obfuscation feature to bypass China’s VPN blocking and its VPN connection is quite fast and stable in China. This entry was posted in VPN Reviews and tagged nordvpn, review. Bookmark the permalink.